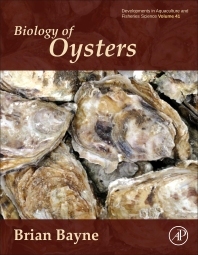 This book is an outstanding, in-depth review by Dr. Brian Bayne on the biology of oysters. The author has carefully reviewed the literature and synthesized findings in a way that presents the reader with a more comprehensive understanding of the subject. Not surprisingly, the great strength of this book are its literature review of the feeding and energetic physiology of oysters but other topics are also covered very well. Genetics is the one area that could have benefited from a more comprehensive review but this subject is changing so fast, with the application of new powerful techniques, that frequent updates (and revised editions) would be needed to bring the reader up-to-date. Overall, this book is a "must read" for marine invertebrate biologists. It will also become a great source of ideas and inspiration for future aspiring graduate students interested in studying the biology of marine bivalves.